From Bexley North at the western end of the Valley, Wolli Creek travels through a beautiful and unexpected strip of bushland. 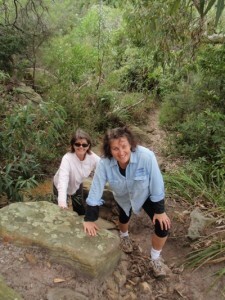 Although some areas still contain many weeds, you can also see remnant rainforest, sandstone cliffs and floodplains. Further east, from the weir at Turrella Reserve, the creek becomes brackish and passes through mangrove country to its junction with the Cooks River. 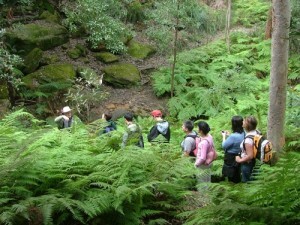 There are many places where you can appreciate the beauty of the Wolli Valley. Although close to Bexley Road and the M5 Motorway, this area shelters a remnant patch of rainforest and Turpentine trees. Bush regeneration has been underway here since 2006. The diversity of native plants that have ‘bounced back’ as a result has been striking. However, this area is under threat from possible development of a second M5 east motorway tunnel. The RTA still currently owns this land and is considering building a ‘cut and cover’ tunnel, which would destroy much of the bushland here. Volunteers have put a lot of work into reclaiming this lovely wetland from the Privet and exotic vines that used to strangle the large remnant Swamp Mahogany trees. Located just beside the Hartill-Law Ave bridge near Bardwell Park railway station, this is a spot well worth looking at and keeping an eye on. “You could be a million miles from anywhere here!” is the reaction of most first-time visitors to the Girrahween forest. 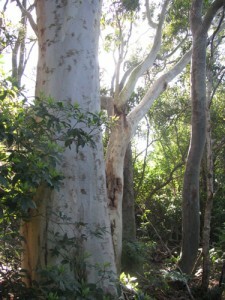 Just below Earlwood shopping centre and near the Hartill-Law Ave bridge is lovely Girrahween Park. A favourite spot for picnics and school excursions, this park is also a great spot for birdwatching and spotting wildflowers. The eastern end features the open parkland of Turrella Reserve, accessed from Turrella Station, a 13 minute train journey from the city on the East Hills/Airport line. A 2 minute walk from the station and across the footbridge on the weir will see you in the park, a popular place for dog walkers. Stop at the footbridge to see the fishway built in the weir in 2009. 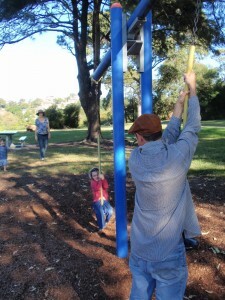 The Turrella Reserve playground is popular with families and picnickers. 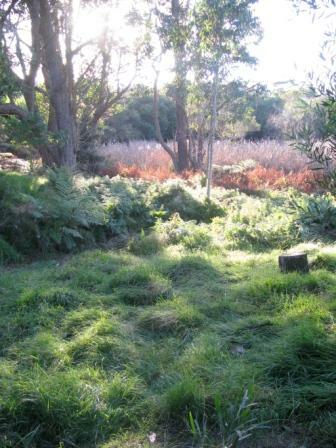 WCPS volunteers have re-vegetated the area beside Wolli Creek (including saltmarsh species), as well as the area around the old market garden pond. The National Parks and Wildlife Service is also currently landscaping Turrella Creek, and establishing a new saltmarsh area. A gross pollutant trap was installed in 2010 under the reserve to trap large objects such as PET bottles and silt before they reach Wolli Creek. Overlooking the parkland is Nannygoat Hill, a steep sandstone outcrop covered with native open heathland. It provides great habitat for small birds. The climb to the top is well worth it, as you get spectacular views across the reserve, towards the city and over to the airport and beyond. Below the weir, Wolli Creek turns brackish and widens out, making it ideal for a lazy kayaking trip past mangroves and wetlands. 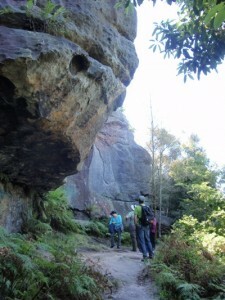 The Jackson and Undercliffe walking tracks continue further east from Turrella Reserve past the famous old sandstone ‘Jackson Cottages’ to the end of the Regional Park at Wolli Bluff. From here you have views across the Waterworth Park playing fields to the Cooks River and Tempe. Standing on the Bluff on a clear day, you can also see all the way to Chatswood on the North Shore.